Do you mind filling out a couple of additional questions?  Please let us know what current ski clubs or divisions of the WAWSA you are members of. Do you find your area overcrowded?  Would you like to see more ski areas approved for use in Western Australia? Did you know that Water Ski and Wakeboard Australia offer tailored boat insurance for water skiing members? Join now to help Water Ski WA retain and campaign to open more ski areas in Western Australia. Competitive memberships are required to compete in sanctioned tournaments. If you are a competitive water skier, a competitive membership will provide insurance and everything required to compete in the local, national and international space. A competitive membership is approximately $200 and must be purchased though the national water ski body the AWWF. Social memberships are for those who love to get on the water with friends and family. They are bundled with club bonuses such as discounts from retail partners offering ski and boating equipment. When you sign up to a social membership, you will help us strengthen our numbers and the campaign to open more water ski areas across Western Australia. This membership does not permit members to ski at any of WAWSA gazetted ski sites.